If you are in need of general dentistry services, call (303) 390-5183 to schedule an appointment with our Parker dental office. 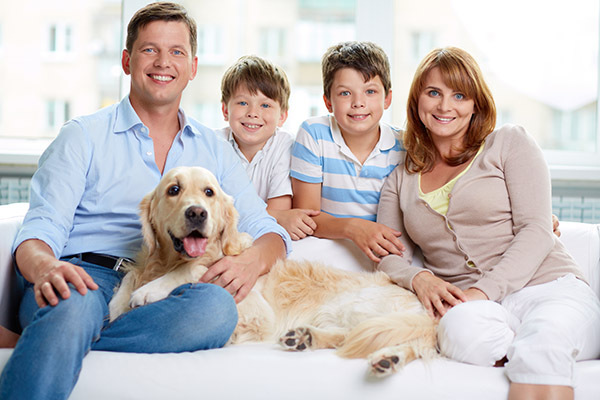 We focus on providing preventative care and performing a variety of dental procedures to keep your family in excellent oral health. By providing comprehensive care, we can ensure your child’s teeth remain as healthy as possible. If anything does develop, the condition can be treated quickly and your child can return to a healthy life. Whether you are concerned about your child’s bad breath, your child has a toothache, or you want to improve the appearance of your child’s smile, we can help. At Canyon Ridge Pediatric Dentistry, our staff is warm and friendly. We will take the time to understand your oral health concerns, while also providing the information and services your child needs to maintain lifelong oral health. Teeth cleanings and examinations. At our dental office, we recommend your child has a professional teeth cleaning at least twice per year. This way, we can remove the plaque that has built up on or between your child’s teeth. Regardless of how well your child brushes his or her teeth, it is difficult to clean the hard-to-reach spaces. This can lead to a buildup of plaque and tartar. Since plaque can increase your child’s risk of getting cavities, removing it can help your child remain in better health. These appointments can be completed quickly and we can work within your schedule. Oral cancer detection. Our general dentistry services include looking for signs of oral cancer while cleaning and examining your child’s teeth. At Canyon Ridge Pediatric Dentistry, we understand the important role we play in detecting signs of the disease. Your child may not be aware of the symptoms or warning signs of oral cancer. In other cases, the symptoms are discovered after the disease has spread. While cleaning your child’s teeth, we can look for the traditional signs of oral cancer. The signs can include hard lumps, bumps, rough patches, red and white spots. If we see these signs, we can refer your child to an oncologist for further testing. Check out what others are saying about our general dentistry services on Yelp: General Dentistry Services Parker. Bad breath treatments. If your child’s breath is smelly, regardless of how much he or she brushes, you do not have to live with it. Call 303-390-5183 to schedule a dental examination and bad breath treatment. Very often, this is caused by a cavity, infection or gum disease. By cleaning your child’s teeth and tongue, we can typically remove the cause of bad breath. If your child has another issue that is causing the problem, we can discuss further ways to improve it. Treating gum disease. In our Parker, CO dental office, we can both prevent and treat gum disease. This is one of our most important general dentistry services since gum disease can lead to gum recession and tooth loss; when left untreated. We can treat it by removing plaque from underneath your child’s gums. Typically, this will help restore your child’s gums to good health. If, however, your child’s gums have started to recede, we can discuss more intensive general dentistry services. Dental sealant. If your child has deep ridges on the chewing surfaces of the teeth, you should consider dental sealant. Patients throughout Colorado use this procedure as a way to reduce their risk of developing cavities. This is an easy way to protect your child’s teeth, because we can apply sealant in a matter of minutes. It works by acting like a protective barrier so food particles and plaque cannot become trapped in your child’s teeth. The sealant is effective in reducing your child’s risk of developing cavities. Fluoride treatments. Studies have found that a fluoride treatment can reduce your child’s risk of getting cavities by 30 percent or more. If you live in the local area, your child should visit our dental office and ask for a fluoride treatment on an annual basis. Fluoride works well because it is a mineral that strengthens your teeth. In between appointments, your child can use fluoride toothpaste to continue strengthening them. Fillings. At Canyon Ridge Pediatric Dentistry, we can treat any of your child’s cavities and restore the missing tooth structure with a dental filling. We can place natural-looking, tooth-colored fillings, so your child’s tooth looks both natural and beautiful. Root canals. If the center of your child’s tooth is infected, he or she may need a root canal. The obvious sign of this is if your child has tooth sensitivity or a toothache. To perform a root canal, we will create a small hole in the tooth to remove the infected area prior to cleaning the area and seal it up with a rubber-like material. Then we will use a filling or dental crown to restore and protect the tooth. 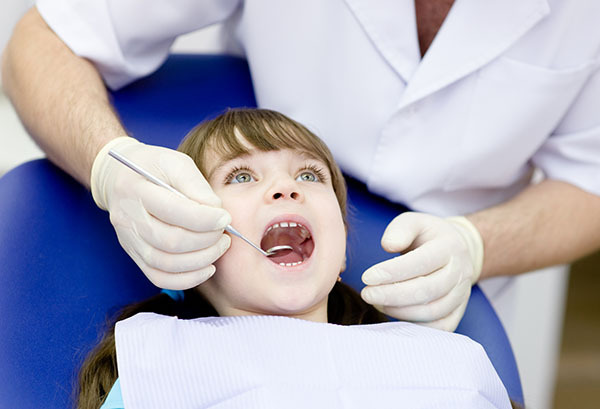 We will numb the area to be sure your child feels comfortable during the procedure. It will last slightly longer than treating a cavity, but the process is fairly similar. This is one of the general dentistry services we perform to save an infected tooth and prevent the need for it to be extracted. Restorations. If your child has damaged a tooth, our general dentistry services can restore it in both form and appearance. We have several options for doing so, including dental bonding and dental crowns. All of these options can look natural and make your child’s tooth function as well as it did prior to becoming damaged. As a provider of general dentistry services, we understand the power and importance of education. We believe that when our patients are better informed, they can make healthier decisions that will reduce the likelihood of them developing cavities or infections. This is why Dr. Marc Thomas, takes the time to discuss oral health with each patient. When you visit our Parker dental office, we can show your child how to brush teeth properly, how to select the right toothbrush, what foods to avoid along with what foods to eat for a healthy mouth and beautiful smile. We can also provide you with specific instructions that relate to your child’s personal oral health. To learn more or to schedule an appointment, call (303) 390-5183.